The militant negativism of the Ford administration and the weary disenchantment of some prominent liberals rest in considerable part upon one of the most influential myths of the ‘70s: that government cannot solve social problems by “throwing money” at them. This proposition, in turn, is supposed to be a generalization out of the experience of the ‘60s when, it is said, Washington spent and experimented prodigally, and in the process did more harm than good. If this thesis were simply an article of faith for sectarian, free-market ideologues like Ford and Secretary of the Treasury William Simon, it would not be particularly alarming. Such people believed in it long before the New Frontier and the Great Society; for them what happened in the ‘60s was just one more example of a timeless truth. But when liberal governors like Jerry Brown in California and Michael Dukakis in Massachusetts start to popularize this very same theme, that is a more serious matter.If, as one devoutly wishes, a liberal Democrat wins the presidency in 1976, he will be in the difficult position of having to lead a nation wracked with cycles of recession and inflation worse than any encountered in a generation. Under those circumstances, if the Democratic party and its President fall back upon the wisdom of Herbert Hoover and wait for the nation’s troubles to work themselves out, on the grounds that government can do nothing, they will rightly be repudiated by the people. The party that since Roosevelt has claimed to be the agent of progressive change will have failed utterly. In saying this, I do not want to suggest for a moment that all that is necessary is to go back to Roosevelt’s principles (or Kennedy’s, or Johnson’s) rather than to Hoover’s. There is a certain truth to the charge that liberal solutions are often new problems in disguise. To the degree that federal programs did generate new problems while pretending to cope with old ones, these failures occurred not because Washington acted too radically or too prodigiously, but because it acted too timidly, following corporate priorities even as it spoke in populist rhetoric. To defend the liberal record against preposterous charges from the right (including the new liberal right) is not to say that it is immune to criticism from the Democratic left. On the contrary, if a Democratic President is inaugurated in January, 1977, he (I wish I could realistically write he or she) is going to have to act forthrightly, which means that he will have to reject the big lie about the ’60s. But he is also going to have to go far beyond the New Deal, the Fair Deal and the Great Society. On November 9, 1972, the day after his landslide victory, The Washington Star published a historic interview with Richard Nixon. Garnett D. Horner had talked to the President just before the election, and the White House approved his transcript of the conversation. Clearly, the chief executive had known that he would be returned to office with a huge majority and, not dreaming that Watergate would destroy his triumph, decided to articulate the political philosophy of his second administration. A number of obvious points leap to the eye. First the vision described by former Secretary of HEW Caspar Weinberger—that social spending is compounding at a rate that threatens to absorb more than 50 percent of GNP by the year 2000—is simply a fantasy. 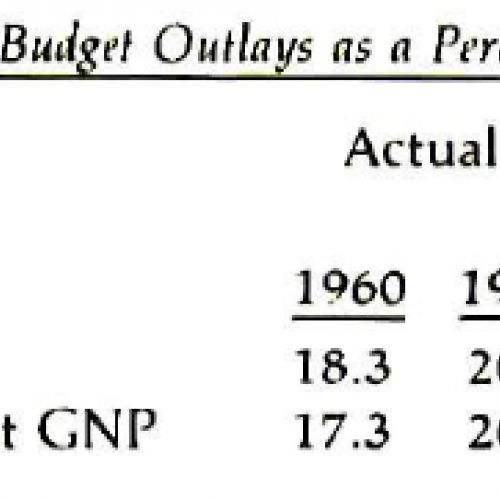 Even using the somewhat misleading figures for “actual GNP” and assuming that all federal expenditures (not just the social funds) increase at the rate of the ‘60s, three decades of compounding will not make Weinberger’s nightmare come true in terms of total expenses, much less in terms of social spending alone. Secondly the increase in all federal spending during the ‘60s was relatively modest, whether you take the actual or full employment GNP as a base. In this regard, it must also be remembered that the 1960 point of comparison expresses the priorities of Dwight David Eisenhower and that the increments are thus measured against a most conservative standard. Thirdly these statistics show that the Ford 1976 Budget, which decrees austerity for the aging, the poor and the hungry, and affluence for the military, is quite literally reactionary. Taken as a percentage of full employment GNP, it represents a retreat from the levels of the first Nixon budget. In any case, these figures make it plain that, in terms of total federal spending, the ‘60s did not produce some kind of gigantic jump. It is also useful to compare the American performance with that of the other leading industrial powers. Here, I rely on a 1972 OEGD report. It shows that American defense spending declined as a percentage of GNP and that there was a significant increase in the amount paid for goods and services in the civilian sphere. Taking these changes into account, the United States’ expenditures on those goods and services lag behind Canada, Germany and the United Kingdom. More importantly, this country and Japan are at the very bottom of the list when it comes to transfer payments to households (monies paid out, but not in return for services rendered). At the end of the ‘60s, only 6.1 percent of our GNP was spent in that fashion, which was less than half of the percentage in France, Germany and Italy. Finally if one looks at the total government expenditures—and these are higher than the figures for federal outlays since they include state and local programs—the United States did spend more in the ‘60s (from 25.9 percent of GNP in 1955-57 to 31.7 percent in 1967-69), but in doing so only managed to catch up to, but not overtake, the European welfare states. These numbers seem to destroy my case. They show that cash income maintenance payments more than doubled in the ‘60s, going from $20.6 billion to $45.8 billion. Similarly, grants for social programs rose from $1.3 billion to $8.8 billion. Therefore, one would think, Nixon, Ford and Jerry Brown are right in their thesis that there was extensive, even radical, government spending in the last decade. And since this is now a manifestly unhappy country abounding in social problems, one must conclude inexorably that the vaunted efforts of the New Frontier and the Great Society were an extremely costly failure. But when one looks more closely, this impression dissolves. Indeed the percentages cited above hint at the reality. There was indeed a quantum leap in federal cash income maintenance—only it took place under Dwight D. Eisenhower! In “his” decade, those programs almost doubled as a share of the total federal budget. Under Lyndon Johnson they declined from those high Eisenhower levels. Then, under Nixon, according to more recent data from the Brookings analysis of the 1975 Budget, the cash income maintenance percentage rose from Lyndon Johnson rates and almost returned to the Eisenhower level. What do these bewildering numbers mean? Social Security payments began to increase rapidly during the ‘50s for demographic and actuarial reasons, not because public policy changed. Then during the ‘60s, the rise was less dramatic, and other programs began, most notably Medicare. Under Nixon—but against his will— increments in Social Security benefits were passed and the whole program was geared to reflect rises in the Consumer Price Index. Most important of all, these numbers should focus attention on the real growth sector in the federal domestic budget: programs for people over 65, primarily Social Security and Medicare. These did indeed advance during the ‘60s and the ‘70s, chiefly because the population with claims increased, which is a fact of nature and not a creation of liberal prodigality. The category “helping people buy essentials” refers to cash transfers on tax expenditures making it possible for people to buy goods and services. It includes some of the most conservative Great Society reforms, e.g. tax breaks for homeowners, which favor the rich, and subsidies for the poor to buy houses, which were carefully designed to guarantee the profits of banks, developers and real estate speculators. If this category shows a significant increase in the ‘60s, it offers no evidence whatsoever of radical innovation. Secondly, Social Security and Medicare are successes—flawed, incomplete and sometimes problematic—but successes nevertheless. These measures have considerably enhanced the well-being and happiness of the aging, and as a result they are very popular politically. Indeed, the main criticism that must be made of them is that they are still too timid and pinch-penny. Medicare, for instance, is a partial installment on a national health insurance plan for citizens of all ages that America, alone among the Western nations, still lacks. And finally, Social Security, the largest single social outlay, is the least bureaucratic of the federal programs. 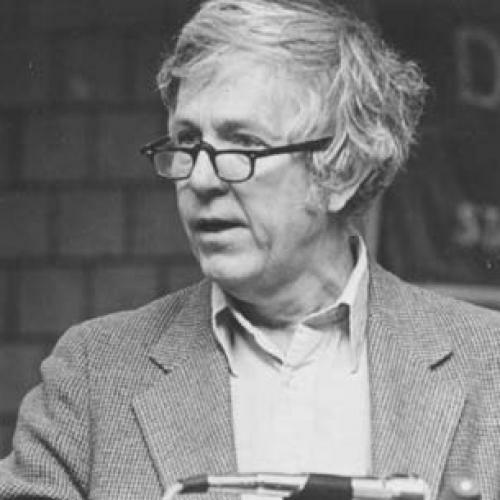 In 1971, the neo-conservative James Q. Wilson noted recently, the Social Security Administration paid out $54 billion in social insurance with a staff of only 73,000 persons. Compared to the monies spent on social insurance and Medicare, the innovative funds inherited from the programs of the ‘60s are quite small. 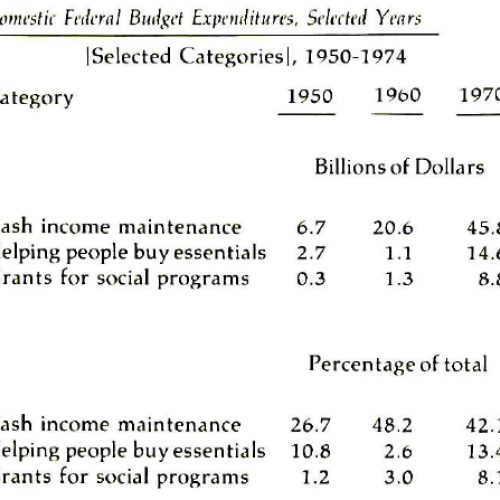 In its analysis of the 1973 budget, Brookings calculated that Great Society programs, apart from Medicare, accounted for only $13 billion. These were the quintessential Johnson programs of the so-called “service strategy” that directly provided people with goods and services (medicine, housing, food) rather than income. In the same year, the older income security expenditures were $75 billion, or five times as great. Moreover it should be stressed that the $13 billion spent on innovation was not money down the drain in any sense. It paid for Medicaid (whose main flaw is that it does not reach nearly enough people), school lunches and scholarships for higher education. It included food stamps, the first national welfare program with federal standards, an effort that even conservatives admit is justified in 85 percent of its outlays. The same basic trends are visible in the 1976 Budget. Mr. Ford, that apostle of governmental parsimony, proposes to spend $361.3 billion. Of that $100.3 billion goes to defense and international spending. So the domestic budget is computed at $261 billion. Of that, $84 billion is for interest, the administration of justice and subsidies to business and farmers. The “human resources” category, then, comes to $177 billion. Of that, $ 84 billion goes for pensions and medical care for people over 65. Public assistance is only $9.2 billion, while the cost of Mr. Ford’s incompetence in economic management—the $17 billion in unemployment compensation – is almost twice that sum. Indeed, if you take public assistance and Medicaid, they total $16.4 billion, which is less than the unemployment compensation occasioned by Ford-Nixon policies. The welfare state as it emerged out of the ‘60s is not, and never was, a free-spending system of radical innovation. About two-thirds of its funds are devoted to the income and medical needs of the aging, and that is money well spent, even though it is not nearly adequate. The “radical” departures like legal services for the poor and community organizing never did get much money, and the truth, therefore, is as Daniel Patrick Moynihan described it in The Politics of the Guaranteed National Income : “The social reforms of the mid decade [of the ‘60s] had been oversold and, with the coming of the war, underfinanced to the degree that seeming failure could be ascribed almost to intent.” Leaders of the ‘60s talked a bold game, declaring “unconditional wars” on poverty, proclaiming a “Great Society.” But there were neither vast expenditures nor structural changes. This last point leads me from a defense of the ‘60s against the rightist charge that they were on a drunken, wasteful binge to a critique of the very same decade on the grounds that it did not even begin to change the fundamental determinants of the society. Jerry Brown may be right when he says that government created more problems than it solved, but for reasons diametrically opposed to the ones he cites: not because the leaders were visionary, but because they were conservative. I emphasize this fact, not because I want to settle historic accounts with the Kennedy-Johnson administrations, but because I want to stress that we must go far beyond what they did, qualitatively as well as quantitatively. As long as private corporate control of investment is taken as a fundamental mechanism for the allocation of resources and the stimulation of growth, just so long will there be strong, structural tendencies in the American economy militating against full employment and a CNP that serves the needs of the majority of Americans. Here, and not in the imagined profligacy of the ‘60s, is a fundamental reason why so many well intentioned liberal programs have failed. In one of his last acts in office, Lyndon B. Johnson sent an Economic Report to the Congress in January, 1969. In it, he boasted—with some justice—of 95 months of continuous economic advance. ‘‘This record,’’ he said, ‘‘demonstrates the vitality of a free economy and its capacity for steady growth. No longer do we view our economic life as a relentless tide of ups and downs.’’ Since that claims was made, there have been two recessions, one of them the worst in a generation, and a brief boom, all in the course of a mere six years. Certainly our economic life has been a relentless tide of ups and downs. Why? The comforting answer is that Republican incompetence and unforeseeable bad luck ganged up on the United States of America. There were Richard Nixon’s horrendous economic management, the OPEC cartel, bad weather and poor harvests in the Soviet Union and so on. None of these factors is intrinsic to the American economy and the corporate dominance of investment, or so it seems at first glance. Why not accept the role of these accidents in our recent history and, without developing any grand theories, muddle through the present crisis, and pray that the Democrat who gets elected in 1976 has good luck? That is something less than a rousing program to which one can summon the electorate in 1976; it is also a complacent and potentially disastrous analysis. Go back for a moment to Richard Nixon in 1969. He did not slam on the fiscal and monetary brakes in that year out of perversity. He was addressing himself to a very real problem, one that Hubert Humphrey would have faced had he won (and would that he had!). These 95 months of continuous economic advance, along with an undeclared war financed by inflation rather than taxes, had tightened the labor market, bid up workers’ wages, made the unions combative, increased interest rates and prices and, as a result, cut down on profits. American businesses wanted to use the classic remedy against these evils, a recession. Nixon was quite willing. But then this policy cooled enthusiasm for the Republican party in the 1970 elections much more effectively than it coped with inflation. So in late 1970, Nixon marshaled all of America’s economic power to achieve an overriding national purpose: his own reelection. Once that was done, he slammed on the brakes again, lifted wage and price controls, and plunged the country into its present miseries. But how would a liberal President have dealt with the same problems? Suppose he had adopted, as some of the shrewdest people on the left proposed, a truly redistributive incomes policy? That is, instead of imposing controls, which hold down wages but not prices or profits, suppose a liberal President had instituted a genuine social contract in which the returns to the rich would be rigorously restrained while the real incomes of the poor and the working people would be allowed to rise moderately. I certainly would have favored such an approach, and did in fact call for it. But one problem would have remained. By holding down corporate profits, one would limit the prime source of new investment funds for the entire society and simultaneously motivate the profit-takers, who are also the allocators of the nation’s resources, to a sullen strike of capital—their usual response under such circumstances. What I am suggesting is that the arguments made regularly by Ford, William Simon, the Chase Bank and The Wall Street Journal about capital shortages has a certain logic, given the structure of the American economy. At the same time that these worthies have insisted upon draconian sacrifices by New York City, they have called for a legislated increase in the profit rate for the big corporations (through an even more discriminatory treatment in favor of capital gains, more loopholes for dividend income, etc.). Do not, they say, spend money on social programs for that will “crowd out” our higher priority—private capital formation. (Now it is true that their particular argument in this case is utterly specious: the recession, which the government has not fought with nearly enough vigor, has “crowded out” tens of billions of potential investment funds. Ending that waste is our most critical task, on economic as well as social grounds,) Still, their underlying point remains valid: profit income in the American economy has claim to preference as against wages and public spending since, but only since, private corporations are the nation’s prime instrument for providing jobs. But then, isn’t a second obvious answer to the problem Nixon faced in 1969 precisely an expansion of the public sector? Of course. But then look back at the employment program of the Great Society. Lyndon Johnson was urged by all kinds of people—the unions, his own Commission on Civil Disorders and others—to respond to the violent eruptions in the ghettos by directly funding public service employment. Instead he acted on the philosophy of the Great Society—a vision of partnership between government and business which, in an ever-growing economy, would jointly solve social problems—and launched the JOBS (Job Opportunities in the Business Sector) effort, paying private employers to put the hard-core unemployed to work. To be sure, Johnson could have opted for the public service jobs without making any changes in the structure of the society. But that would have required that he act against the profound, inherent bias of our economic system and risk the hostility of a corporate leadership that he so very much wanted as part of his team. Something like that logic worked on John F. Kennedy in the early ‘6Os. He was told by John Kenneth Galbraith and the AFL-CIO that he should stimulate employment and growth by direct social investments. But he was politically weakened by a deadlocked Congress, and so he opted for a tax-cut approach which, as Leon Keyserling has documented, effectively distributed wealth to the corporate rich. Not so incidentally, Kennedy also sponsored a capital goods boom by providing for accelerated depreciation and other tax devices. Here again, the enormous economic and political power of the corporate sector asserted itself within a liberal Democratic presidency. By now, this tax discrimination in favor of the rich has become a cherished tradition: there are, the Treasury tells us, some $95 billion in tax expenditures in the 1976 budget and they go disproportionately to the wealthy. More generally, I am suggesting that Keynesian policies are rather well suited to overcoming capitalist failure (although they work best politically when subordinated to corporate priorities). But Keynesianism cannot deal with the consequent contradictory and precarious successes. And one of the reasons is that the entire American economy is in its very structure forced by its perverse logic to defer to the wishes and wealth of the corporate rich, precisely because they possess that most crucial authority to allocate resources and create jobs. They can prove ingeniously in theory that they do these things marvelously well; in practice, they have been the instruments of our disasters. Obviously I have merely outlined an argument, yet even in this sketchy form it is, I think, one that the Democratic left— and the Democratic party —must ponder well. The clear policy implication is that the nation must begin to move in the direction of socializing some crucial investment decisions—for instance, taking over the entire rail system within the framework of a national transportation plan and creating a TVA-type corporation to develop new energy technologies for public use, rather than private profit. A few important points should be clear. First: America did not “throw money” at problems in the ‘60s. Chiefly, it purchased an increment in decency – not enough, but with some success—for people over 65. Fiscal “experts” should be asked to meditate on a rather simple proposition: that problems of people who suffer from a lack of income can indeed be solved by “throwing money” at them. Ask anyone on Social Security. Second: government intervention did generate some spectacular difficulties as by-products of its good intentions, inflation not the least among them. But the reasons for these troubles are not to be found in our fantasized radical prodigality but in our actual subservience to corporate priorities. Third: the worst thing that could happen in 1976 would certainly be a Republican presidential victory. The second worst thing could be a Democratic presidential victory that would bring to power people in the thrall of a Nixon myth. If that triumph is to prove a blessing rather than an embarrassment, the Democrats must begin now to think through the deep structural problems of the American economy and come up with some proposals that go far beyond the New Deal, the Fair Deal and the Great Society. The Roosevelt- Kennedy-Johnson orthodoxy is now established, even conservative truth. It is not enough.